Ahmedabad Traffic Brigade 1400 Post Bharti Jaherat 2018: The Ahmedabad Traffic Brigade Trust Invite Application For Ahmedabad Traffic Brigade Volunteers Recruitment 2018. Ahmedabad Traffic Trust Has to be Select 1400 Traffic Brigade Swayamsevak. Ras Ane Laykat Dharavta Umedvaro Ae Application Form Melvi Last Date Pahela Jama Karavvanu Raheshe. 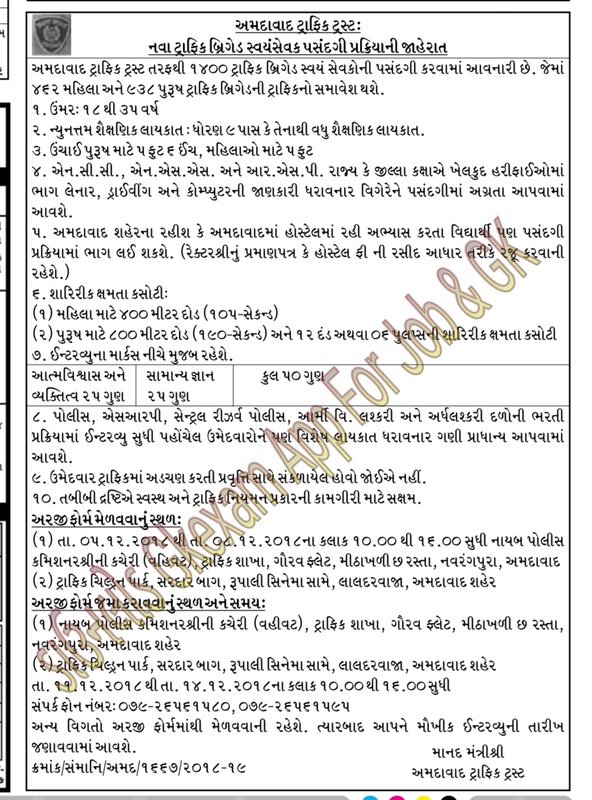 Ahmedabad Traffic Brigade 1400 Post Vacancies at Traffic Brigade for 9th pass Recruitment 2018. 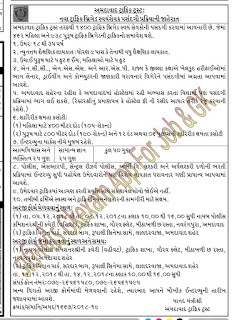 Gujarat Govt 2018/2019: The Department of Gujarat Government, Commissioner of Police, Ahmedabad Traffic Brigade invites application for recruitment of Traffic Brigade Self Servant posts. Candidates may apply before due date for 11-12-2018 to 14-12-2018. Further details like educational qualification, age limit, how to apply, applicant selection process and how to fill offline application form are given.